It's in our hands: Helping keep 3,000 girls in school for the rest of the year! One in three schoolgirls in South Africa stay home for up to four days a month because they cannot afford sanitary towels. This impacts severely on their dignity, but also their ability to successfully finish their basic education, which in turn feeds the cycle of poverty they were born into. It is unthinkable that something as basic as access to sanitary towels can still have such a devastating impact on the future of thousands of South African girls - but it does. 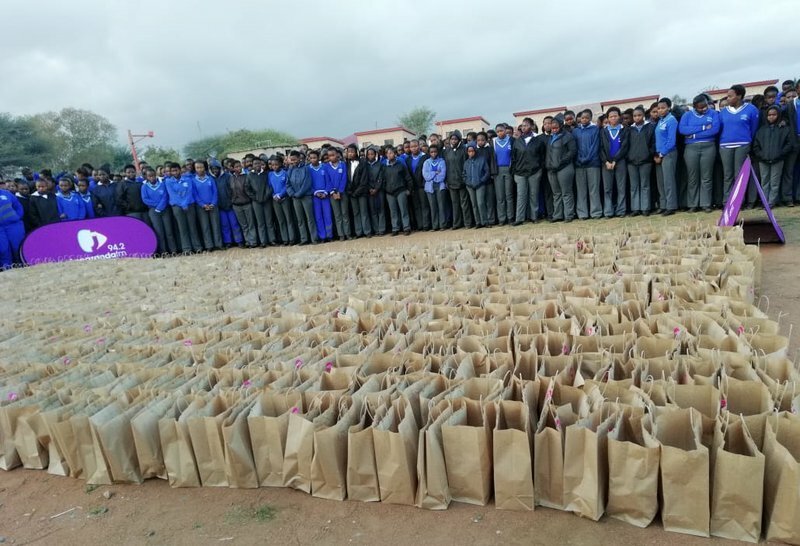 We invite you to help us break this cycle of poverty, by participating in our Mandela 100 Project: Keep a girl child in school for 6 months - donate R67. On 18 July 2018, former President Nelson Mandela would have been 100 years old. International Mandela Day is all about celebrating the birth of this world peace icon and father of democracy in South Africa, giving us the opportunity to keep the Madiba-legacy alive. To mark this very special day, we will be answering Madiba’s call to take the future in our hands by being of service to those who need it most. He asked us to do 67 minutes of community service - one minute to represent every year Madiba himself was in service of the people of South Africa. With your help, we will help girls as far as Sinthumule High School in Limpopo. As well as Mandlesive Secondary School in Mpumalanga.